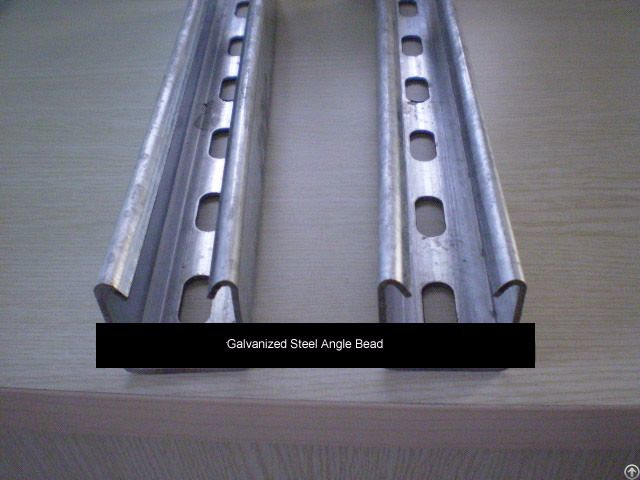 Hot dipped galvanized steel angle bead for wall Reinforcement coil corner beads, designed for internal use except for Render Rib which has a zinc coating of 450 gms./M2. Galvanized stucco beads products are suitable for plasters on a lime, lime-cement, plaster binding agent, cement or gypsum based. Any fixings used should be galvanized. On the outside is the finished edge which is where one side of your drywall knife runs on when you are applying drywall mud. The two flanges sit flat on your raw drywall.The diamond decoration along the length of the flange act as a keyway for holding the drywall mud to t he drywall and the corner. This mesh insures a perfect bond and provides effective reinforcement where most needed.Straight edge nose is easy to install and permits plumb straight outside corner. Excellent protection for corridor corners exposed to traffic.